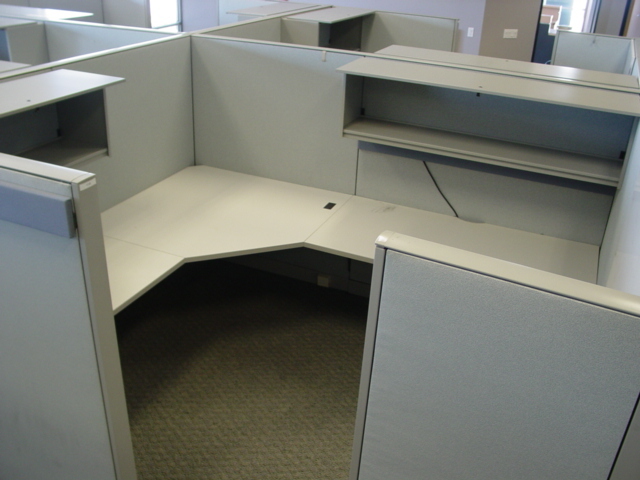 6×6 Haworth Premise workstations with 64″ high panels, Two full height pedestals, a B-B-F and F-F. 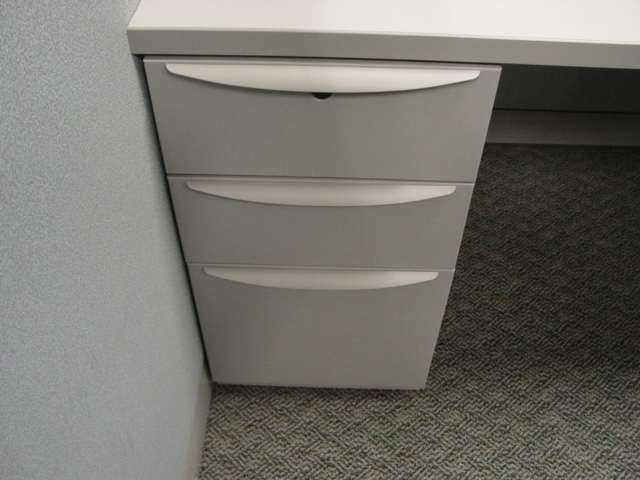 This station comes with an optional 30″ wide 2-drawer lateral file. 36″ overhead bin and 36″ overhead shelf also comes with each station. Product is in good as-is condition. Stations have power down the spine with one duplex receptacle per station. Each cluster of 6 is connected to the building with a base-in power feed. Product is located in Cleveland Ohio Warehouse and ready to ship. 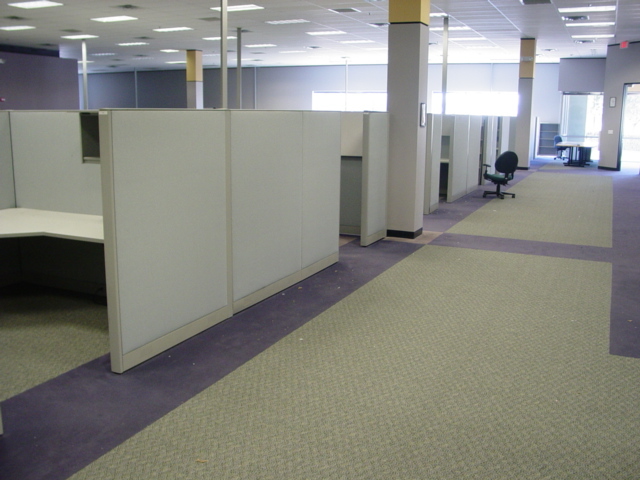 No Comments on "Used Haworth Premise 6×6 Cubicles"